Set on a tree lined road just 0.3 miles from the local shops, this 2 bedroom, 2 bathroom home comes to market in exceptional order throughout. Amongst the notable features are the South-West facing rear garden, the large reception space, which gives a real 'hub' to the home, the well proportioned bedrooms and the allocated parking. EPC Rating C.
The area of Burghfield comprises Burghfield Common and Burghfield Village and is located within West Berkshire. There is a range of schooling from playgroups to secondary education (The Willink School) and a range of facilities including Tesco Express, village stores, green grocers, pet shop, bakery, chemist, health centre, vet, churches, post office, village hall, garages, recreation grounds and leisure centre with swimming pool and gym. The area also boasts a variety of woodland walks and bridle paths and there are numerous country pubs within a few miles drive. There is good commutable access to the nearby towns of Reading, Newbury and Basingstoke and motorway networks M3 and M4. A regular bus service takes you to and from Reading town centre, and there are rail links at Mortimer and Theale. Set over two floors the smartly presented accommodation includes; an entrance hall, modern kitchen, cloakroom and a rear aspect living room which opens on to the garden. 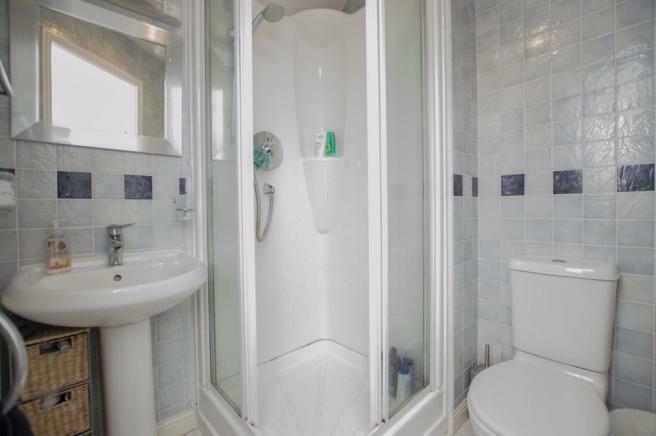 To the first floor there is a rear aspect master bedroom with en-suite, a further double bedroom and a family bathroom. To the rear the garden has a South-Westerly aspect and extends to 30ft in length, there is a patio, lawn, mature borders and side access. Mains gas, electric, West Berkshire Council band C.
Disclaimer - Property reference 172820. The information displayed about this property comprises a property advertisement. Rightmove.co.uk makes no warranty as to the accuracy or completeness of the advertisement or any linked or associated information, and Rightmove has no control over the content. This property advertisement does not constitute property particulars. The information is provided and maintained by Davis Tate, Burghfield Common. Please contact the selling agent or developer directly to obtain any information which may be available under the terms of The Energy Performance of Buildings (Certificates and Inspections) (England and Wales) Regulations 2007 or the Home Report if in relation to a residential property in Scotland.